Prominent & Leading Wholesale Trader from Mumbai, we offer modular wall frame signs, modular projecting signs, modular table stand signs, modular suspended signs, modular double sided pylon signs and modular post pylon signs. 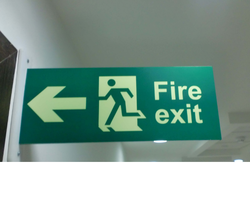 We have over two decades of vast industrial knowledge and experience in producing superior quality Modular Signage. We are one of the prominent names in the industry, offering Wall Projecting Signs. We offer broad selection of Wall Protuding Modular Sign for construction, chemical, food service, metal, cement , marine and other industries. 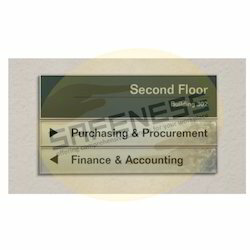 We study the market demand for Modular Projecting Sign regularly and keep optimum stock levels. We are known for creating a wide range of innovative and sustainable products for the industrial markets among which Hanging Modular Sign stands on its design, strength and reliability. 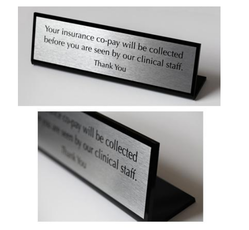 Designed to accept standard paper or any sign substrates. Informatory Modular Signage is recommended for labours, workers and inspection officers to use while performing their duties at the site. 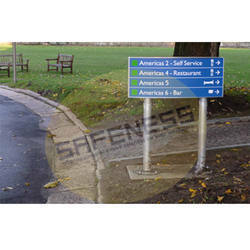 We offer an extensive and comprehensive range of Pylon Sign. 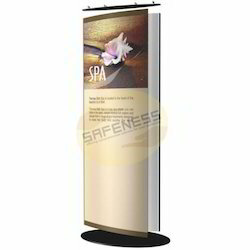 The product Advertisement Display Signs is designed keeping in mind all innovative approaches made by industries worldwide. In addition, we offer a varied range of Lobby Modular Signage which is being widely used in industries like Metallurgical, Steel, Aluminium, Power, Energy, Petrochemical, Oil & Gas, Glass, Chemical, Cement Offshore & Onshore Industry, Furnace Areas, Fire Departments, etc. 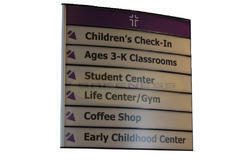 Create customized signage and then flex and pop them in. They can be easily popped out with the key suction cup. Our product Triangular Pylon Sign was developed keeping in mind the safety of people working in manufacturing plants and indoor or outdoor work sites. 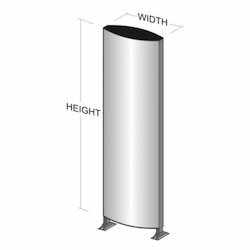 This Pylon Sign Board conforms to government standards and industry regulations. New models of this Pylon Sign keep developing to produce higher quality products without cutting corner. We have over two decades of vast industrial knowledge and experience in producing superior quality Pylon Signs. The basic materials used in manufacturing Double-Sided Modular Signs are well tested by our testing team to ensure its safety. Now Companies have started adopting increased safety measures since it has become mandatory to follow safety protocols. Audits for Modular Sign take place to check their conformance to safety and quality standards set by government and testing bodies. 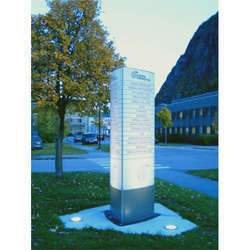 This Informatory Modular Sign is compact and light weight so that it occupies less space and becomes easy to transport. 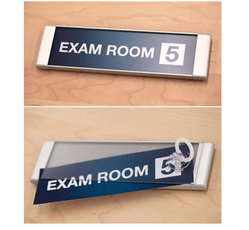 To keep up with growing demand of Wall Mounted Modular Signs, we keep adequate stocks at any given time. We are among the prestigious names in the industry, engaged in offering Modular Sign Board to our valuable customers. Aesthetically Appealing Sign Boards is known for its optimal design, easy installation, easy-to-use and quick calibration. 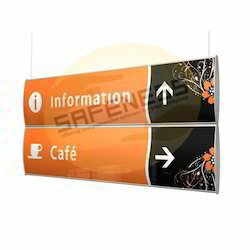 We are the prominent manufacturer, supplier, trader, distributor and exporter of Way Finding Modular Sign. 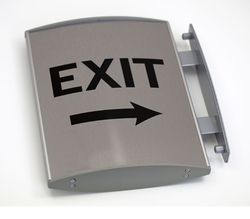 Modular Directional Sign finds its application in industries like Power, Energy, Railways, Automobiles, Aviation, Engineering and Construction. Looking for Modular Signs ?